By far the most popular topic people are looking for on this site, and what people email me most about is Popeye's Louisiana Kitchen. 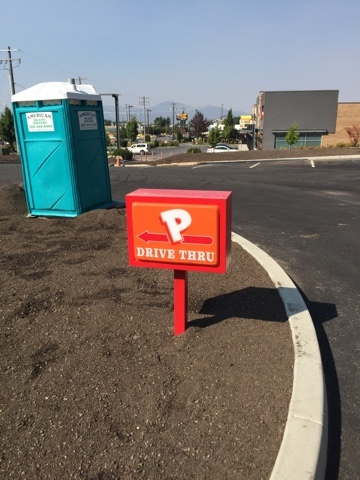 For those who don't already know there are 2 Popeye's Louisana Kitchen locations coming to our area and they will be the first locations of the chain to come to the Inland Northwest. It is still coming just both are actually opening later then expected when they we're originally announced. This is not all that odd in the world of commercial real estate / permitting. There is a building permit to construct the structure although it was pulled some time ago and second permit for signage was pulled in July. 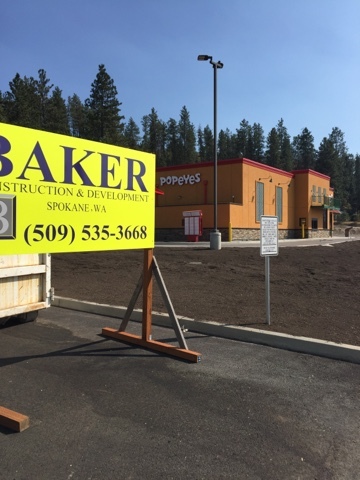 I can safely speculate construction will start at that site right after the Post Falls Popeye's opens for business. 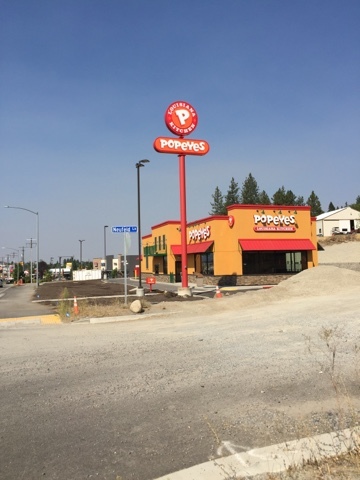 The Post Falls Popeye's is mostly done on the exterior and there is still signs that crews are working on the inside of the new restaurant. As far as when it will open I can't confirm it's opening date other then I'm hearing Mid-September. There is a rumor it will be on the 16th but this too I cannot confirm. 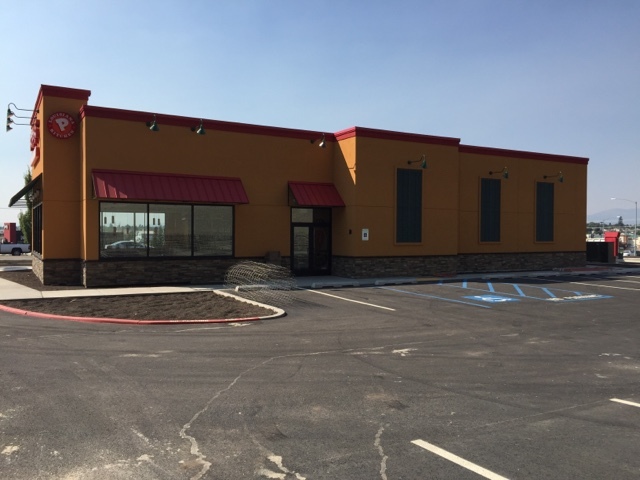 This restaurant is located just north of the I-90 / Hwy 41 exit in Post Falls and South of Mullan Ave, with an address on Neufeld Ln. Both locations will be similar with an indoor dining area and drive though. They are both to be franchised locations of the Concord,Ca. based Norcal Cajun Foods,LLC who operates a number of Popeye's locations around the West. These are the only 2 planned in our area at this time.